Rinse well the greens under cold running water and drain in a large colander. Cut into bite-sized pieces and set aside. In a large skillet, heat up three tablespoons of oil over medium-high heat. Add greens and give it a good stir. Cook for ten minutes, stirring occasionally. Season with some salt and remove from the heat. Now melt the butter in another skillet. 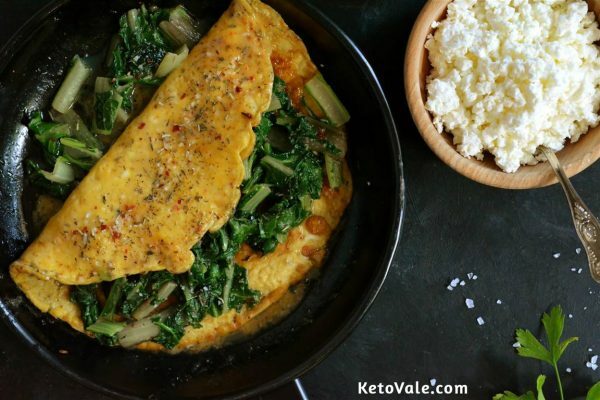 Beat the eggs and pour into skillet. Season with Italian seasoning, chili flakes, and the remaining salt. Cook for 3-4 minutes and remove from the heat. Transfer to a serving plate, add greens and fold over in half. 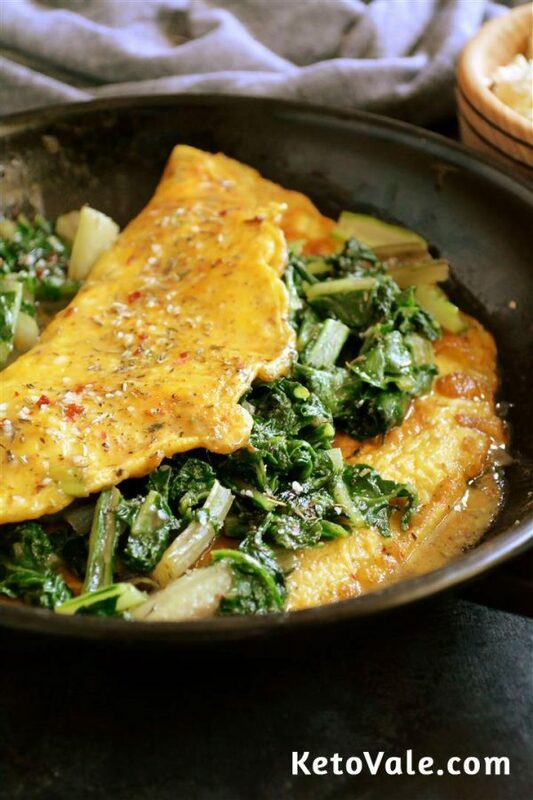 Spinach is among the healthiest foods in the world and goes perfectly with different omelet recipes. I like to replace my regular cooking oil with extra virgin olive oil for an even healthier version of this recipe. Olive oil is loaded with omega-3 fatty acids, and if you add omega-3 enriched eggs, you’ve got yourself a truly valuable breakfast. Give it a try!